Hello Fresh is one of the biggest and well-known meal kit delivery services that operate in the country. Using their service makes home cooking easier than ever. Hello Fresh also introduces you to new and exciting flavors and helps with maintaining a healthy lifestyle by providing easy to prepare and nutritiously balanced meals. Even though we believe the service that Hello Fresh provides is fabulous, there still could be reasons why you might need to cancel your account. Whether you are planning on being away from home for a substantial amount of time or simply want to spice things up a bit by trying other meal kit services, canceling your Hello Fresh account is easy! It can all be done online through their website. Click ‘Cancel Plan’ (under Delivery and Payment section). Follow the prompt for your cancellation. You will then receive a message confirming that your account has been successfully cancelled. To ensure that you avoid any upsetting charges, you need to take into consideration that any order that has already been processed or shipped, cannot be cancelled. Be sure to cancel your account by 11:59 pm PST 5 days prior to your next scheduled delivery to avoid any charges. 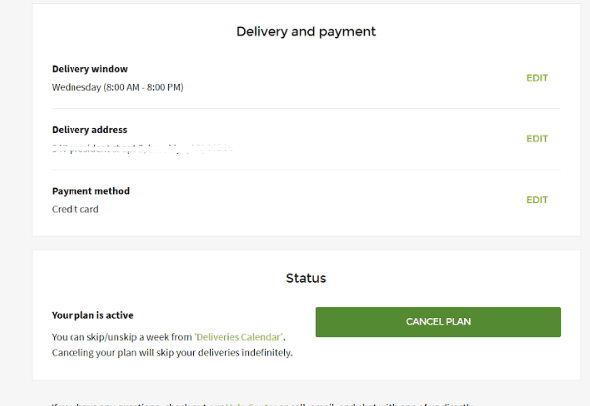 Again, to avoid any charges, you need to make sure you process the weeks you would like to skip by 11:59 pm PST 5 days prior to the scheduled delivery. We know that just because you have decided to cancel your Hello Fresh account does not mean you have given up on the idea of using meal kit services. If you would like to try something different or compare the services from other companies, then we are here to help! 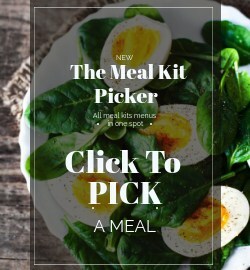 We have some great promotions for beginners for many other meal kit companies for you to enjoy (Home Chef, Plated, Sun Basket, Gobble and many more).